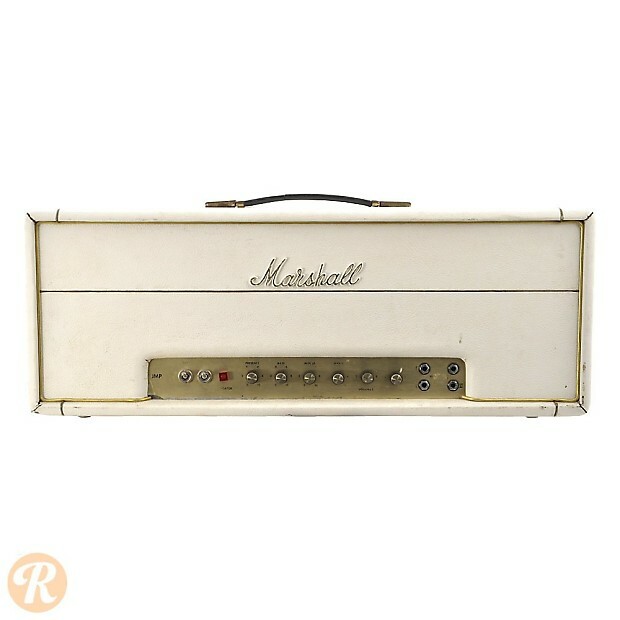 According to Marshall lore, the 1959 came about as a result of Pete Townshend asking Marshall to make a 100-watt version of his JTM 45. Marshall obliged and released the 1959 Super Lead in 1965, pairing it with a set of 4 by 12-inch cabinets, and thus, creating the Marshall stack. 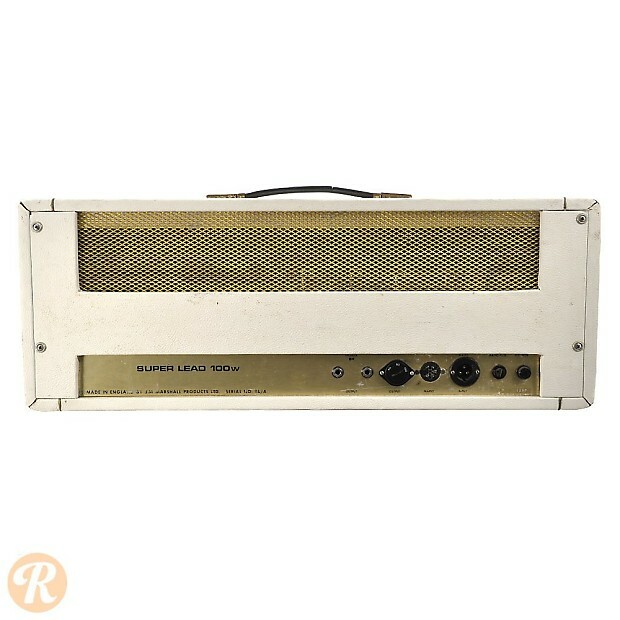 The 1959 Super Lead remains one of Marshall's all-time most iconic and important amplifiers. While the original model was discontinued in 1981, the Super Lead has been released and reissued in a number of variations since. A major transition point in the progression of the 1959 Super Lead came in mid-1969 when the faceplate was changed from plexiglass to brushed aluminum. 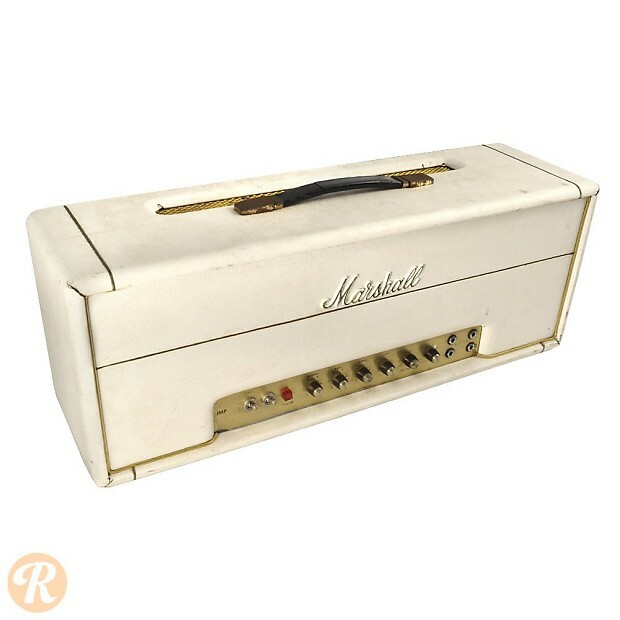 While most Marshall heads came with a standard black tolex, custom wraps like white were available.